In 2015 a drone which seemed to be a perfect flying companion with a camera was introduced. The quadcopter Lily was named the first camera in the world working on the principle “flipped and forgotten”. The fantastic promotional video helped to sell people the idea they can just throw a small quadcopter into the air, and it will follow them and shoot all their actions. Lily blew up the market and managed to raise more than $34, millions in pre-order. However, two years have passed but the buyers have not received their drones (the price of which, by the way, was $800) yet and the company developing Lily was forced to admit its defeat. As the journalists of TechCrunch found out, the startup sent emails to its impatiently waiting customers and announced the closure of the company. Additionally, the Lily developers promised to return the money to those who had pre-ordered a Lily drone. There were signs that Lily was in trouble before: initially, the production of these drones was to begin in the middle of 2016. Then this term was constantly postponed. Now it has already become clear that cute smiling drones Lily will never be able to rise into the air from their happy owners’ hands. 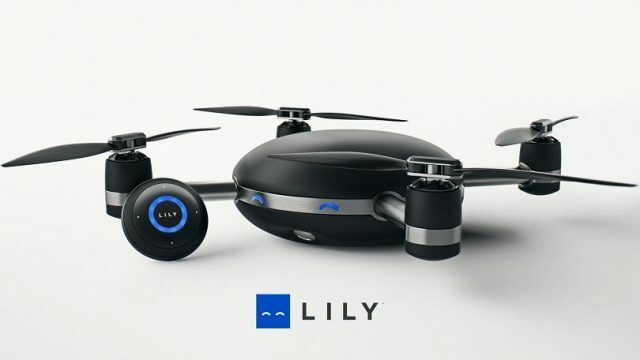 Since the company started raising funds for releasing Lily much water has flowed and many competitors have appeared on the market starting with cheap precise copies of the device and ending with small folding drones – for example, DJI Mavic Pro. When (and if) the Lily buyers who have paid for the pre-ordered drones get their money back, they will be able to find quite a good alternative to it. DJI Mavic Pro is a compact device, which is yet a very powerful one. It comes equipped with a recently developed OcuSync transmission technology that provides HD 720p shooting quality for 7km distances and Full HD 1080p for shorter ones. In spite of the small size of this drone, it can fly much longer than most other more expensive and larger models – its maximum flying time is 27 minutes and the maximum distance is 13km. Once a customer gets acquainted with all the other specifications of this drone by DJI he is sure to get excited and thrilled about it. 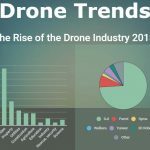 The New Level of Drone Industry or How Does Charlotte Drone Company Use Drones?